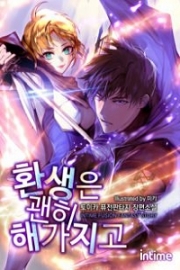 You’re reading novel The Demonic King Chases His Wife: The Rebellious Good-for-Nothing Miss Chapter 446-447 online at LightNovelFree.com. Please use the follow button to get notification about the latest chapter next time when you visit LightNovelFree.com. Use F11 button to read novel in full-screen(PC only). Drop by anytime you want to read free – fast – latest novel. It’s great if you could leave a comment, share your opinion about the new chapters, new novel with others on the internet. We’ll do our best to bring you the finest, latest novel everyday. Enjoy! Su Luo was immediately speechless. Already wounded to this degree, and still this in love with being clean? At an angle, Su Luo couldn’t see the corner of Nangong Liuyun’s mouth lifting slightly into a smiling expression of having gotten his way. Nangong Liuyun leisurely reclined on the mattress of the bed, watching Su Luo busily rus.h.i.+ng about because of him. She was running back and forth, this gave rise to the full satisfaction and bliss in his eyes. Su Luo had an entirely different mood from his. This deserted mountain on an isolated island with nothing, and he as a great young master of the house, still had so many demands. If it were not for considering that he had received a serious wound, she would not felt like dealing with him. Su Luo gave a heavy sigh, stooped down to fetch a bucket of fresh water to return, and also added a portion of Celestial Spirit Water inside. If others were to know that Su Luo was this extravagant, very likely, they would have gone insane. Celestial Spirit Water, at that time, such a small bottle, and Su Manor had considered it to be an extremely precious treasure that was guarded seriously at the residence. But now, Su Luo had picked up half a bucket of Celestial Spirit Water, poured it into a huge circular tub, and then stirred it carefully to get it evenly distributed. Subsequently, Su Luo again used her fire attribute’s capability to directly heat up this tub of water to the appropriate temperature. She felt it was more or less ready, then Su Luo recalled that she hadn’t brought soap. She couldn’t help but look to the sky and sigh. She vowed to wait until she returned to the empire, there she would equip all the necessary goods for everyday living in order to prepare for use in times of need. Otherwise, an empty s.p.a.ce was only suited as a decorative item, and not cleverly used as a great secret tool for leaving home to travel. Su Luo received the gra.s.s in a daze, suddenly, she returned to her senses. Ever since they entered the cave, she had helped him heal by cutting off the rotted flesh, when did he still have the time to leave the cave? Then in the end, from where did he bring out this handful of Aromatic Soap Gra.s.s? Suddenly, Su Luo recollected that when she first entered the cave to find a path, she didn’t see him, could it be at that time…Su Luo’s complexion darkened slightly and unenthusiastically cast him a glance. “So it turns out you had already been prepared since earlier.” Su Luo crossed both hands over her chest, her gaze landing on his body was as light as a feather. This b.a.s.t.a.r.d certainly said it on purpose! Deliberately mentioning that matter to give birth to guilt in her heart. Su Luo admitted it, every time she remembered this matter, she would be extremely remorseful about last night’s event. “Okay, wasn’t blaming you.” Su Luo snorted twice. Immediately, Su Luo’s entire face blackened. What was this b.a.s.t.a.r.d doing? Complaining that he didn’t comply with the Jade Lake’s Fairy in the Joyous Conjugal Room? This was taking all his injuries and completely unjustly placing them on top of her head? Su Luo choked on a breathe of air, but couldn’t send it out in anger after all. “Fine, fine, fine, it was all my fault, I will take responsibility till the end.” If he was to continue speaking, even living in this cave would also be her fault. Su Luo did not feel like taking notice of this rogue, and pulled him to sit on the stool. Mainly because of the so-called ‘unfamiliar at first, but well-accustomed to it soon enough’. Now, peeling off Nangong Liuyun’s clothing was simply so familiar to Su Luo that she could do it blindfolded. Wherefore did she still have the nervousness of the first time when even her fingers trembled? So to say, how formidable a kind of thing was a habit? Nangong Liuyun cleverly sat on the stool, allowing Su Luo’s agile movements to peel him naked. Just one glance at that infuriating smile on his face, and Su Luo immediately recalled when she entered Prince Jin’s Royal Manor. This b.a.s.t.a.r.d purposefully caught her and forced her to wait upon him as a servant boy. That time, he still calmly pretended he didn’t recognized her, truly shameless. On that day, she was made to act like a servant boy, now she was a maid…Why was it that her position in front of him didn’t ever seem to go up? “Who’s blus.h.i.+ng, you big-headed demon, what piece of flesh on your body have I not seen?” Su Luo very proudly raised an eyebrow. “But the clothing was all stripped off by you, you don’t want to take responsibility?” Nangong Liuyun’s expression was deadly serious, every sentence pressed in on her. At the same time, her heart couldn’t help but think that this b.a.s.t.a.r.d simply making a big deal of wanting to bathe, it shouldn’t be because he wanted her to see him naked, so that afterwards, he could force her to take responsibility? If it was other people, Su Luo naturally would not believe it, but if it was Nangong Liuyun…this b.a.s.t.a.r.d’s brain lobe had different grooves from ordinary people, there were only things he couldn’t think off, never things he wouldn’t do. This rogue, really going so far as to place the blame on her. Su Luo slanted him a glance: the majestic, stately His Highness Prince Jin, a person high above with ten thousand people beneath him, why on earth would he insist on her taking responsibility? It was not like there were no other women. “I know, try to be together for three months, if it doesn’t work, we break up and go our separate ways.” Su Luo said in a smiling, sing-song tone. “You are actually concerned about this king.” Nangong Liuyun slanted her a faint glance. “Who dares?” Nangong Liuyun said, full of a domineering att.i.tude. He was simply a tyrant, those who followed along with him lived, those who opposed him perished. If they were stranded on this uninhabited island, when the time came, she wouldn’t even have the chance to enter the stage. Wouldn’t it then be a defeat without a fight? This was not the style Su Luo was accustomed to. You're reading novel The Demonic King Chases His Wife: The Rebellious Good-for-Nothing Miss Chapter 446-447 online at LightNovelFree.com. You can use the follow function to bookmark your favorite novel ( Only for registered users ). If you find any errors ( broken links, can't load photos, etc.. ), Please let us know so we can fix it as soon as possible. And when you start a conversation or debate about a certain topic with other people, please do not offend them just because you don't like their opinions. You're reading The Demonic King Chases His Wife: The Rebellious Good-for-Nothing Miss Chapter 446-447. This novel has been translated by Updating. Author: Su Xiao Nuan,苏小暖 already has 12760 views.